• With a high back and deep seat, all day comfort is one sit away. • Reinforced rip-stop fabric at stress points. •Open: 58" x 32" x 40"
•Closed: 6" x 8" x 41"
•Seat: 27" x 21" x 17"
This chair is great. 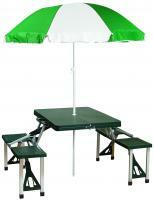 The footstool attaches well and folds with the chair. But there is nothing like putting your feet up after a long hike. Then you can scrunch down in the chair and look at the the tree tops or stars. Sturdy, well made, and quite wonderful. Great chair. It stows away nicely and is very solid and comfortable. I'm 220 lbs and it feels more than strong enough. I don't use the foot rest too much but am more than satisfied with the chair. I purchased this chair for my husband. He loves it! It seems to be sturdy and the leg rest fits his very long legs just fine. This is a very nice chair and great quality! It is an excellent company to deal with! This is a very comfortable chair! It is great for after a long hike. You can put your feet up and have a drink by the camp fire. 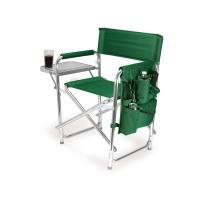 The chair is very comfortable,sturdy and durable. It folds up nicely into a neat little package which makes it easy to store. I would highly recommend this item! Once the chair arrived. I took it out and tried it. I am a plus size man and finding a good chair is rare indeed. I am very happy with the chair and looking forward to many a nights cat fishing at the lakes. It should be a good relaxing time. The chair is comfy and cool. 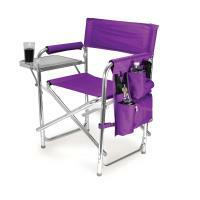 The chair is easy to expand and seats comfortably. It is a nice chair for people needing to elevate their legs and feet. I would encourage people to purchase one. We love the chair. It is extra roomy for bigger folks and even if not a big person it is always nice to have the extra room. Who knows when a child wants to sit with a friend or with Mom or Dad. 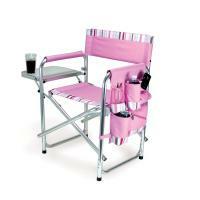 The chair is easy to function and fold up and out. Thanks! 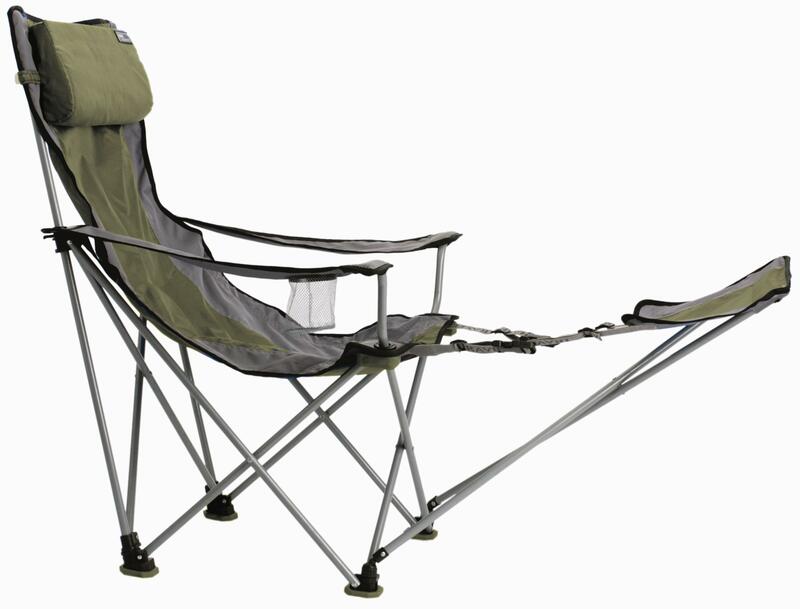 This is an amazingly comfortable chair, and I don't just mean "comfortable, for a camp chair." I mean, comfortable compared to a sofa. The foot rest is key. It seems very sturdy also. I gave it to my brother for his birthday and now I think I might have to give one to my sister-in-law too. My husband is very pleased with the 'Big Bubba' travel chair. I purchased the chair mainly because it is rated for 300 lbs. All the local stores that sell a similar chair are only rated for 225 lbs. Even though my husband doesn't need the higher weight we think the stronger chair will resist the breaking and bending that our other chairs have suffered. The chair is very comfortable and the foot rest is nice for me during this summer because I'm 7 months pregnant with twins right now. This chair is very comfortable. The leg rest if very nice. The only draw back to the chair is that you sink for far in that sometimes it is hard to get up. I'm very happy with my travel chair. I use it for my hypnosis clients, and they find it to be very comfortable. It's light-weight and easy to carry around. This chair is very comfortable. 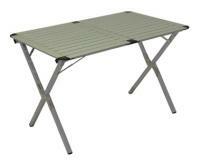 It is not much larger than a standard camping chair when it is folded up so packing wasn't a problem. The last camping trip we were on we had torrential downpours for 36 hours (NONSTOP!) so I had to take the footrest off in order to fit under our small shelter. It was fairly easy to do but you need a phillips head in order to do so. The chair is a little "pricy" in my opinion, but after working around the campsite it sure is nice to be able to put yer feet up. Just what my boyfriend wanted! He really enjoyed the additional leg rest! I got so many kisses and thanks for this! The chair is easy to setup and close and comfortable to sit in. My husband and I are "large" people and we loved it when we went camping. It was so comfortable he fell asleep in it! This chair is wonderful and worth the additional cost when compared to the standard discount store models. This chair is strong, larger than others, and very comfortable. It is also easy to place in the storage bags without struggle. My only complaint is that the handles came loose from one of the storage bags after only 4 uses. Great quality! I am not a small person and this supports me perfectly! It's a great product! I really like the pillow and leg rest. While the chair is extremely comfortable I have found two problems with it. The first is that I have some trouble getting up out of the chair. I have to have my legs spread on either side of the foot rest and then push up, or swing my body forward a bit and I find this hard--well, bothersome would be a better term. Maybe it is just that my bones are so old. The other problem is with the foot rest itself. Shortly after it had arrived I noticed that where it was stitched on the right side I could see light where the stitches were. Sooner or later this will tear and spread all the way across to the left side. The chair itself is GREAT overall. Would I buy another one--YES. This chair is very comfortable. We use them on the back of our boat for late afternoon relaxing. It is just what I was looking for! The service was a 5 start. The chair is light and easy to fold. My husband really likes the chair. It would be nice if had included instructions for how to set it up however. The first time, it took a few minutes to figure it out. Great relaxing chair for outdoors. I love the footrest - that's the main reason I got it. The company also provided good service once I bought the chair - the chair arrived with a damaged plastic part, and they replaced it in just a couple of days. Good fold up chair, but like most of these types of chairs,the weakest part on them is the plastic brackets that connect the steel poles together. These plastic brackets are the weakest link on this chair. When they crack & break (and they eventually will)it renders the chair useless and it becomes the next thing to go out in the trash. The manufacturers that make these fold up chairs, really should consider having those plastic connecting brackets made out of metal instead of plastic so the chair will last. This chair was a Christmas gift for my son who loves to hike and camp. At first I thought it might be too big for his purposes, but he is delighted with it. 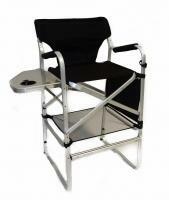 He says that it is the most comfortable camp chair that he ever owned. Good sturdy chair. Only thing that would make it better is if it reclined two inches more. Overall I am very happy with the purchase. The chair is great and was delivered properly so it would be a surprise. We like the chair, it was easy to set up and comfortable to sit in, but it was heavier to carry than we expected. The frame is more substansial than the other, cheaper chairs I've seen. The stitching in the arms didn't hold well though. I had to replace it with pop rivets. also, it is HARD to get in and out of, especially with the foot rest attached. These chairs did not last for 1 trip. The straps on the leg extensions all broke, and the material started to fray (this was with normal size 200-250lb men; not 300lb-ers). I was not happy with these chairs at all. 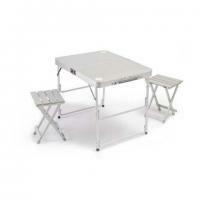 • No instability or deformation after a load of 225 pounds was dropped on the seat. • Dynamic Test: The chair withstood failure up to a weight of 1,056 pounds.